Apologies for the short notice, however, it gives us great pleasure to announce this Members Only* Lunch with Michael Pezzullo. Globalisation has abruptly changed the way borders function. With ever-increasing interconnectivity, the territorial linear border is becoming obsolete in the age of technology. As the Secretary of the department which is charged with protecting our borders, Michael will present his views on how Australia can benefit from globalisation while preserving our sovereignty. 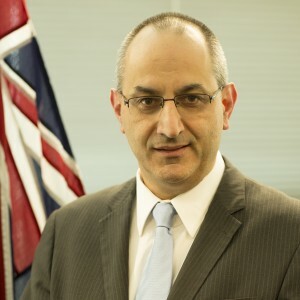 Michael Pezzullo was appointed as the Secretary of the Department of Immigration and Border Protection in late 2014. From mid-2015, this Department expanded to include immigration, citizenship, customs, border protection, civil maritime security, and merged with the former Australian Customs and Border Protection Service. In 2018 the ministry is set for another high-profile merger with the AFP and ASIO. Michael’s depth of experience within the Departments of Defence and Foreign Affairs will provide a unique perspective on the effect globalisation has on sovereignty. Cost: Free. A light lunch will be provided. We anticipate high demand for this event. Places are strictly limited and will be on a first-come-first-served basis. If you can no longer attend or wish to transfer a booking please advise us at your earliest convenience. *Members defined as Associate Member paying $150 p.a. or more and L&S 2017 Alumni.